A teenage French Muslim girl, who was attacked by two men with a box cutter for wearing a veil, has tried to commit suicide. The 16-year-old is reportedly in a critical condition in hospital after jumping out a fourth storey window at her home in Trappes, Paris yesterday. While her motives for suicide remain unclear, she is believed to have also unsuccessfully tried to overdose on pills last week according to French newspaper Le Parisien. In July, hundreds of Muslim protesters clashed with riot police in the Parisian suburb after attempts were made to fine a woman for wearing a full Islamic veil. Since the controversial burka ban which was introduced across France in 2011 there has been a string of violent incidents across the country. 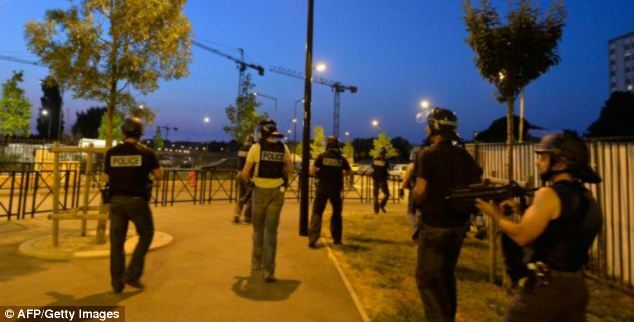 Worried that the girl’s suicide attempt might spark more riots, police were stationed in the commuter town to the west of the French capital on Monday night but no disorder unfolded. The girl told police that on August 12 she was approached by two ‘European looking’ men with shaved heads near Square Berlioz as she left a friend’s house at 5.45pm. The men allegedly shouted anti-Muslim and racist remarks at her before wielding a box cutter. They ripped off her veil, pushed her over and hit her. Her attackers fled in a car when another man intervened. Le Parisien newspaper reported that she had ‘light scratch marks’ on her throat and face. Police in Yveslines are currently investigating the attack and looking at CCTV footage but are struggling because no eye witnesses to the attack have come forward. It is unclear whether the teenager was wearing a hijab (headscarf) or a niqab (full face veil) which is now prohibited under the French burka ban. Women found guilty of wearing veils which cover the face in public can be fined the equivalent of £130 and be forced to attend citizenship classes. 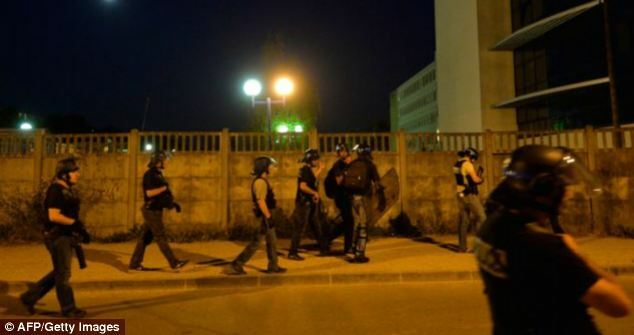 During the riots in Trappes in July, hundreds of people surrounded the police headquarters in the area and bombarded officers with stones while also they started fires and vandalised property. A 14-year-old boy suffered a serious eye injury in the violence, while four police were hurt on Saturday, said local prosecutor Vincent Lesclous. A police source in Trappes said: ‘The disturbances are related to the arrest of a man who objected to his wife being controlled for wearing a veil. A 21-year-old pregnant woman was also attacked by suspected vigilantes for covering her face with a veil on the same council estate. In March, a Frenchman who ripped a Muslim woman’s veil off her eyes was given a five-month suspended prison sentence. 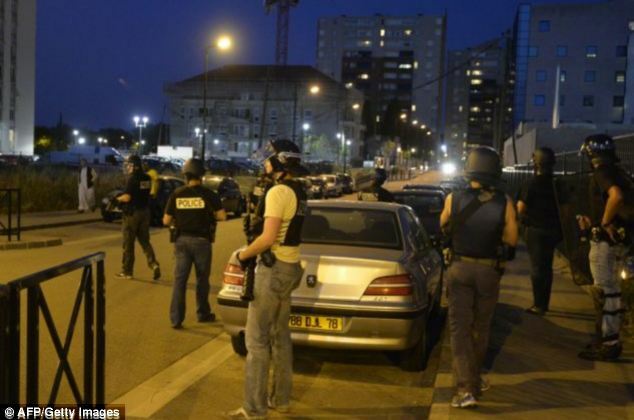 The 30-year-old said he was merely trying to ‘enforce’ his country’s laws when he carried out the attack in the city of Nantes.